i have an obsession with leather jackets (if you haven't noticed) so when i come across one i like i can't help but to make it mine (already have my eyes on this leather vest). 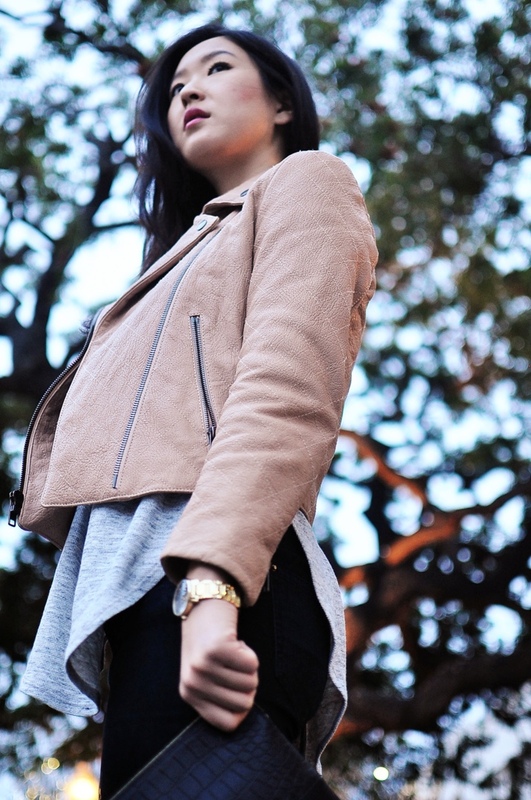 all the leather jackets i own are dark in color, so when i was the blush jacket from theory i had to own it. i love the combination of the blush color and the quilt stitch. 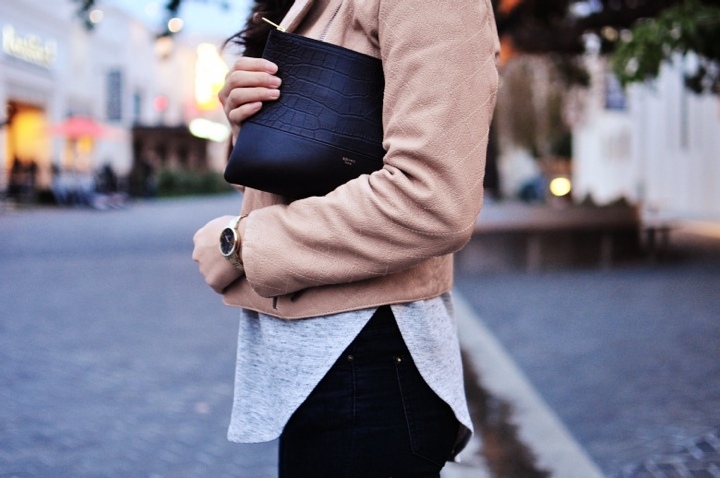 it gives it a soft feminine look to a leather jacket. What a great look! 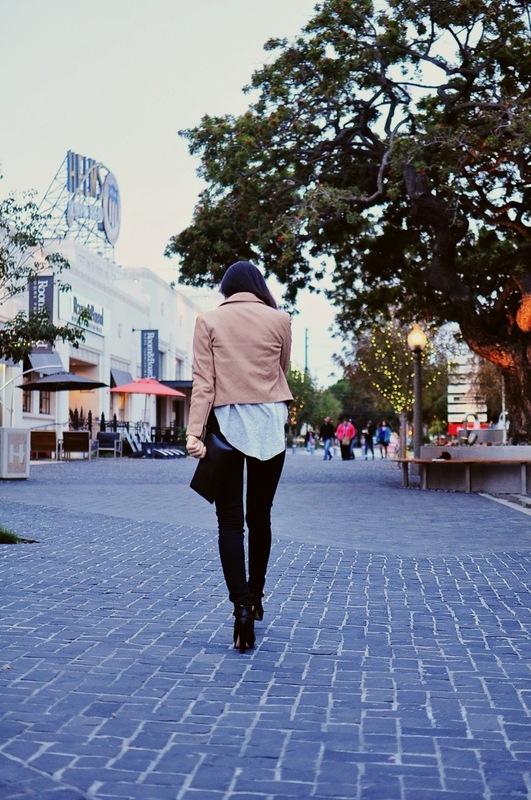 I've always been a fan of Theory clothes. I've worn them for years but they're ridiculously expensive here in the UK. I'll check out the US website. 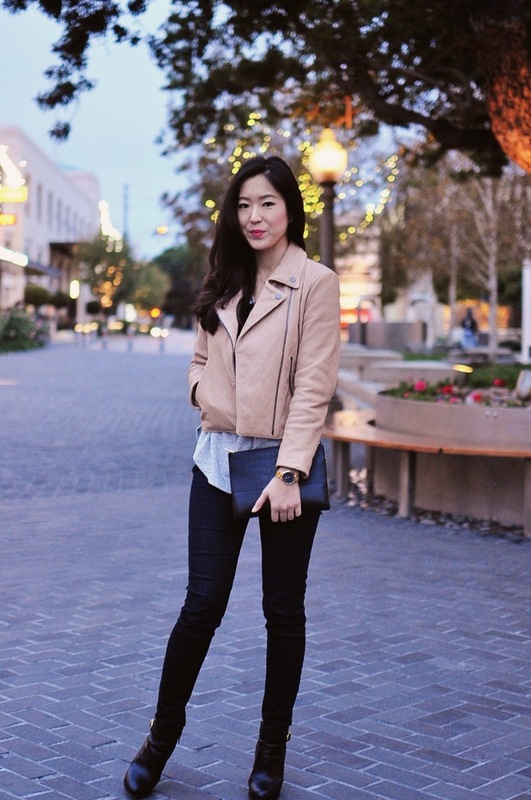 I'm with you about leather jackets. I have a serious addiction for them. i love theory too! love their minimalistic look and the clothes just fit perfectly! right now might be a good time to make some purchases since they are 50% off :) hope you find something you like!! I love that jacket on you! So pretty! ty! 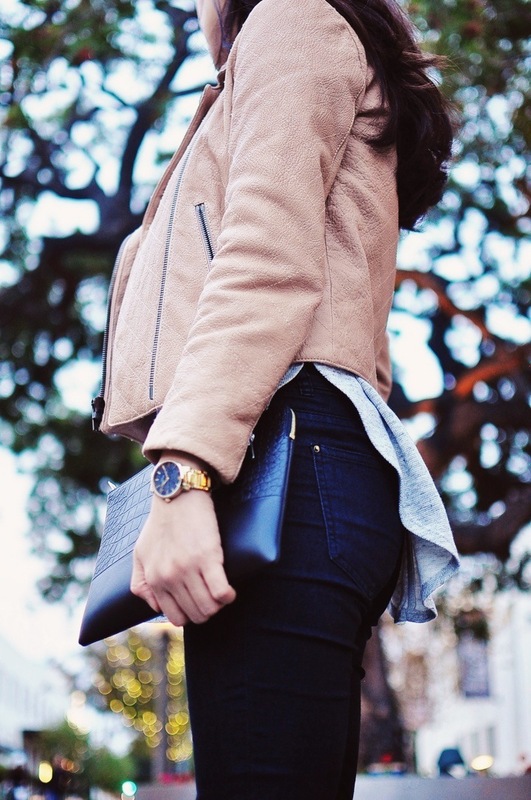 those jacket & the clutch were some new additions to my closet and are my current favorites! i LOVE this outfit, from head to toe- ahhhh SCREAMS PERFECTION!!!!!!!!!!!!!! 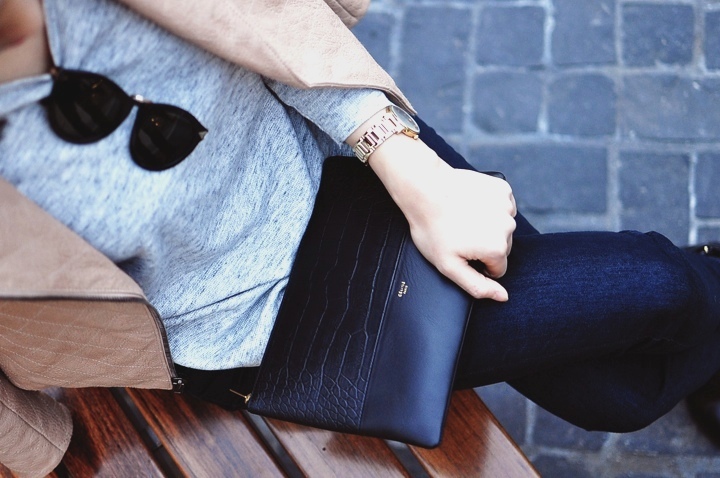 Also LOVE the clutch!!! LOVE LOVE LOVE IT!!!! u look gorg as always! xO! The clutch, the clutch! 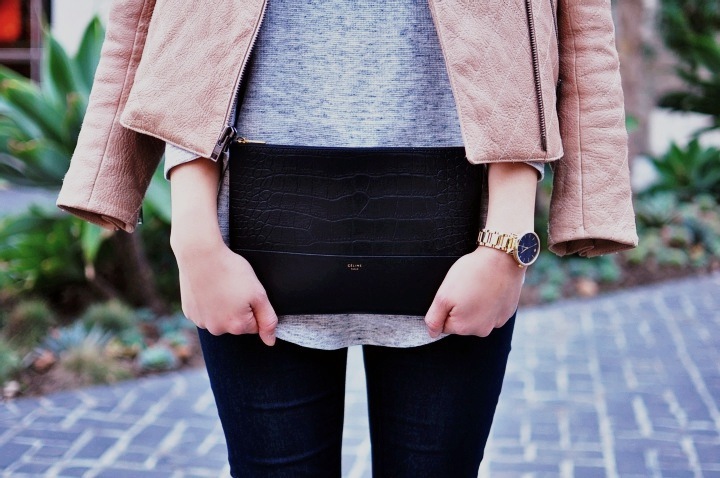 It's perfection, and for the clutch's inaugural debut, you paired it with the perfect outfit. 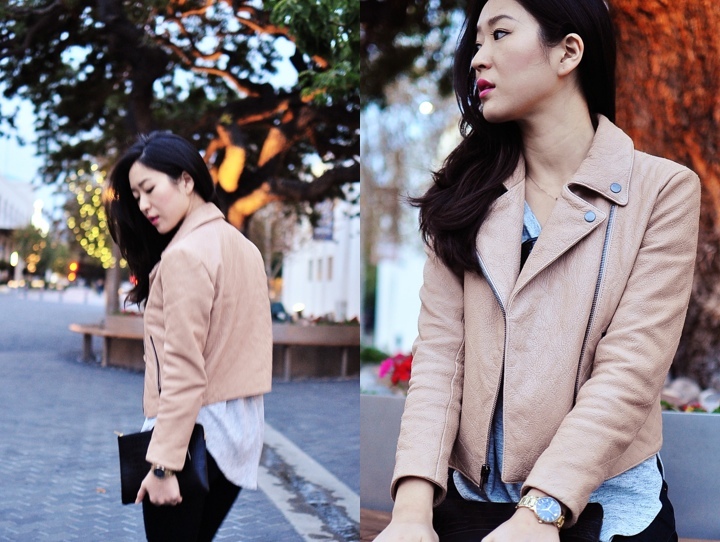 The blush on the leather jacket is really great too.